Having generated multiple millions of dollars in MY Home business, let me help you with how to pick one. IF you are unsure which home business to pick, check out the tips and resources on this page to help you. So it sounds like there is some disagreement with what I suggested. In the below video I share my feedback on her, well, feedback because I want to make sure each and every person that decides to follow me and my training knows EXACTLY what I mean in this very important topic. By the way, in my research for this article I ran across this article from Entrepreneur.com, thought it was pretty powerful and wanted to share it with you. 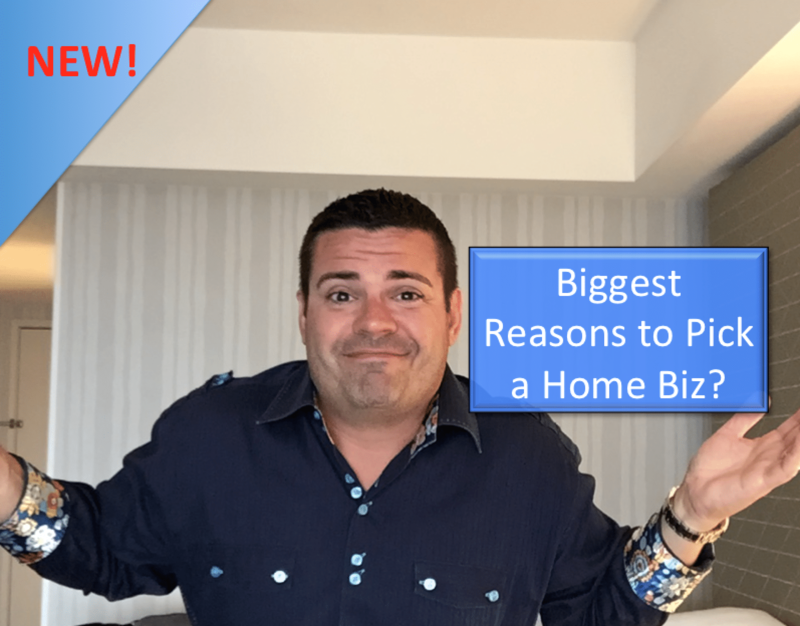 What is YOUR biggest factor when picking a home business? What historically has proven for you to be the MOST important reason one home business opportunity is better IN THE LONG RUN than another? Comment below and would LOVE to hear your feedback on my opinion. For me it's about the passion. If running a home business isn't a business I love, why would I do it? I could just go back to my cushy desk job and not worry about the hassle and risks of a home business. Number one reason why i chose my company because of founders and executives. Because my number one reason of doing Network Marketing is the passing my organization to my grand grand childrens. I'm thinking long term and i want to be sure company will be around long long years. Second was leadership, culture, training, etc. And finally finally was the products. Honestly, joined my company blind of most all of the reasons discussed. Joined because a friend was fired up, and I have always looked for the next entrepreneurial opportunity rather than the next job. As it turned out, my upline and corporate support have been fantastic and we have a fabulous family and community. Leadership has been amazing, training is first rate. I got these great results with PURE LUCK, but I fully agree with Ray's points. Were I ever to find myself looking for a new venture, I now know these are the criteria with which to judge opportunities as they present! 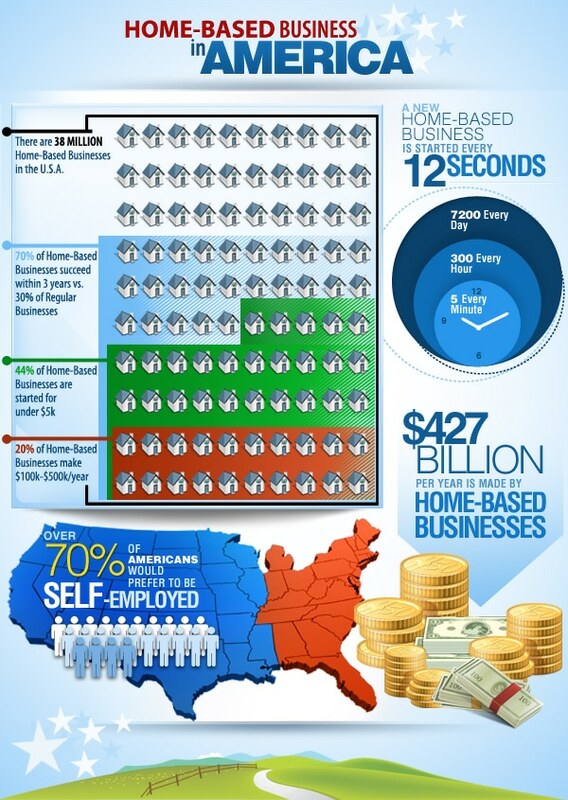 My opinion is that the best home based businesses we have are the ones we started ourselves. There are many home based business that are not MLM, we run 7 different business's from our home only one of which is MLM and absolutely love the freedom of doing so. We get to drive our kids to school and back every day. We make it to all their school events and extra curricular activities always. Our business's afford us the lifestyle we'd always dreamed about and then some. First business I run from home is my financial services business – with the internet, email, video, Skype etc – people still get to see and know your personality. I had a downtown office for 15 years, – very expensive! And talk about the time wasted to drive back and forth every day. I spent many hours on the road as I had many clients that lived up to four hours away. My husband used to have a job as a long distance truck driver. When we got married and decided to have kids – we both knew that working from home was a much better option. So my husband bought some trucks and started a feedlot cleaning business from home – no reason at all to have an office. He keeps the trucks outside and his Dad has a quanset that they use for any repairs that don't have to be done at a service dealer. When we decided to get into Real Estate it fit very well into our wealth building plan from home too. We added in a new home building business that also does major renovations and insurance remediation, fits nicely with our Real Estate business. Since then we have added a Wealth Coaching Business – all the coaching calls are done by phone and for weekend workshops we book hotel rooms – very cost effective. Webinars are a great way to teach and sell to many people at once. We hire Virtual Assistants – and correspond almost entirely through, email, cel and internet based programs, many VA's work from home as well. My oldest daughter does all our Property Management and also does so from her home. My Accountant, bookkeeper, our partner in the home building business, our mortgage broker, home stager, home inspector, building appraisers, and copy writer all work from home. The products for me was very important – I woudl never sell something I would not use myself, but I know, like and trusted the person who introduced me – so after investigating the company I signed up and never regretted my decision, great training and support and supportive upline and overall team support and now loving sharing the opportunity with others. 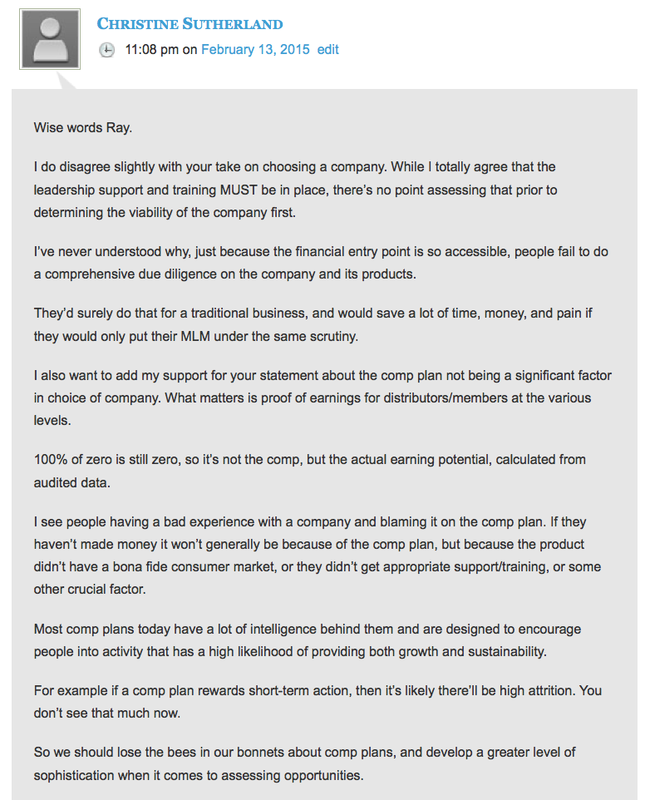 Totally agree with what you said Ray about the four things when choosing a company. Generally speaking, the percentage of people that join a network marketing company are pretty similar for all companies. So your going to have to talk to a lot of people, be inspired through the tough times, and acquire new skills regardless of the company you decide to join. So you need to be with a company that can teach you those skills, give you that leadership, and support that will set you up for success and growth in that journey. Product is definitely important, but as long you know the product is wanted or needed in the marketplace, it's something you would be excited promoting, and the product does what you say it will I wouldn't go into much more detail than that. I got involved with my company after seeing the "vision" behind the company and determining the were backing up this vision in every aspect of the way the business conducts itself everyday! Thanks for all that you do Ray! Thanks Ray! I actually had my why before finding a company due to some personal things I was going through with family. I was studying online marketing for a few years before hand being just a guy on the sidelines trying to learn the ropes by listening to other successful entrepreneurs like yourself. In turn I've been steadily creating my vision and working towards personal growth and developing the mindset needed in order to grow my business. You have touched on many bases with your videos and podcast and it's helped a great deal. Ty for your inspiration. On another note… If a company has an incredible product and a horrible community… Depending on the product, a persons why and the vision they have for themselves, maybe they'll be the one to bring that company to the next level by being the inspiration that company needs in order to be successful and grow… If the product indeed is good and can help others then it deserves to get recognition no doubt. It's gotta be personal! When it's personal, the thought of giving up and giving in will not be considered! We joined about 7 months ago to our first Network Marketing experience. At first we had no clue what we had joined. But we went to our first Training event and it became real. Meeting others who were in similar shoes to us made us want this even more. But what makes me even more loyal to this company beyond family. I joined a company that doesn’t require you to convince a person they need it. You either want to do it or you don’t I have no interest in convincing a person to join us or ask them to buy any thing. I am just going to go show more people! I wrote a paper called, “Dave’s Rule of 36.” Point being, if a companies been around for three years, 36 months, they’re probably OK. Like I think you were alluding to in your comments, if the company doesn’t have the support it needs for its folks, it’s going to go away pretty quick. I was thinking mostly of financial stability that would keep a company upright, but support structure can make or break a company too. In my opinion community and leadership is everything to me! To be completely honest I once joined a company and never took a look at the product nor did I do an overview of the compensation plan. I joined specifically because of the folks I knew that were in that company as leaders knowing their training and support was going to be second to none! To know people that are fantastic leaders, that reach out to their team, that offer around the clock support, that offer more free training that one could only imagine, and that treat you as if you were all truly family is an amazing thing when trying to build a home based business. The struggles and battles that come along with failing your way to success are much better dealt with when you have a family that has your back and there for you no matter how well or bad you’re doing. Community, leadership, training, and support is everything for me! I will check out the compensation plan as I’m earning and learning! I had two main reasons…. First and not necessarily in any order, I love the product. It has always been my favorite and most of my friends also. Second was the leadership of the company and even more so my upline and team. It has and will continue to be awesome on both fronts. Speaking on this issue I have been in a company that had an amazing product, but lacked community, training & leadership. I actually ended up leaving because questions weren't answer, uplines quit & it was my first time in mlm so I was lost. I ended up going back to working 9-5 for 10 years until I realized that the only way I could live out my dreams was to get back into network marketing. I was reintroduced to the industry but this time I took my time into making the right choice and the first thing I was looking for was community. Then leadership, then training, and lastly the product. Without those first 3 things, it makes the product seem worthless because there is no value behind it (as far as becoming a distributor). Think about it. How many athletes speak about their teammates being their brothers or sisters and that's why they are successful? Awesome video Ray! Ray I just wrote an article about this very subject at the end of last month. It agrees with everything you just talked about…now admit it you're "ILT-ing" from my blog now aren't you. Ha! Ray you are quite literally one of my heroes..I thank you for everything you do. FDA technologies approval. 30 year successful track record, new products. I am fortunate enough to get all my bases covered with the company I work with. It is important though for me that the product/s resonate with my values. I cannot effectively market and educate people about a product that is inferior or a duplicated by other companies. I then look to the integrity of the company, community/support/training and the overall company profitability. No company MLM, brick and mortar or click and mortar is perfect, yet the one I work with is the closest one I’ve found in all respects. Outstanding leadership in corporate and the field, yet without the important product I probably wouldn’t be with them. No viable product, no successful company. Happy Thursday Ray… let's say that my home-based business chose me in 2006.. as it spoke in volumes with the promise of helping with the health issues I was dealing with. After having wonderful results, I started sharing a little here and a little there. Then when I attended my company's annual convention in 2013, I was totally blown away at the presence the company had in so many countries and how big this community was. Since then I claimed my long-time home-based business as it should be and became a proud Professional Network Marketer giving people the opportunity to reclaim their lives by living a lifestyle of Wellness with Purpose for Abundance in all realms. For me there are many factors to look at. Yes if all is perfect you do want a great mentor but for me I had to do my due-diligence on the company. The people running it and there vision. If the company is legit it’s not hard to find a mentor/leader within the company that will work with you. Same goes with any type of business you are opening. I believe pushing the business first is fine with advertising your business but not with family and friends. If you were going to open a pizza shop you wouldn’t call all your friends to see if they wanted to open a pizza shop you would call and let them know you are opening a pizza shop and invite them to come down and test out the pizza and give you a positive or negative review on it. But if they start asking you about the business then you could explain your reasons for starting it etc. We need to start treating it like a product base business not a money making game. When the time is right they will ask about the business side of it. People are tired of it. 5O plus years of being pitched join my business and you will get rich has almost ruined this wonderful industry. So if you can’t introduce your product first then please don’t pitch them anything. My lawn guy doesn’t ask me to join his lawn business, he ask me for more customers. So give him the same respect and just ask him/her if they know of anyone that might need to lose weight and let him know you run a business that specializes in that or whatever product or service your company offers. Then listen to see if he ask you about your business. If so then setup a meeting to show him/her how he could possibly start a business with you and your company. Why would I pitch him to become a Network Marketer before he gives some kind of indicator of looking for something different? Treat your business like a business and give it time and it will pay you like a business. For me, i loved the product first! I left one company to join this one after investigating an upline and the corporate support. I learned about the leadership, how compassionate they are, learned about the company finance (debt free), talked with several upline, asked about support calls and materials. Without the product, i'm not sure if I still would have jumped. I actually moved from a company that had all your qualifiers, except for great product. I needed the product to be at ease with working the business from both the product end and the opportunity end. still just getting started and still making appointments in meetings with potential customers, however, I enjoy hearing the tips and the encouragement from everyone. I also enjoy reading about everyones opinios as well. they are so very helpful. my name on facebook is different than through our business'. I go by a nickname on facebook; so that I and my sister in law are not confused. so I do apologize for any misunderstandings ahead of time. I love the focus on loyalty to the community. I really get that. To have a terrible product or a terrible way of handling things in a community that brings stress, or anger, and distrust can cause havoc. It’s then that loyalty is really crucial but many people find hard to hang in there. No one wants to be around agnst. I am currently in my 3rd MLM spanning 20 years. There have been a lot of changes in the way sales are done over those 20 years. When I joined my first company 20 years ago, there was no FaceBook and no real internet activity. I joined because I knew the products that the company sold were around for probably 40 or more years. I also liked the idea of building a business with my friends that would eventually pay me residual income. After being my own best customer for 7 to 10 years, I finally left that company (long after my friends had), but never gave up the idea of having a business that provided residual income. I believe that my current (and final) company gives me the product, the support team, the family, the training and the opportunity for great residual income that I have been looking for. When you get right down to it though, the reason I joined each company was just because I had a friend who was promoting that company, not a very scientific reason. I need to clarify that I wasn’t saying that product/company viability was the most important aspect, but that a lot of time and heartache could be saved if people would check that before checking support/training. The reason I say this is that something like 90% (according to stats put out by the Australian government) of work-from-home opportunities being promoted are basically scams. Not enough people understand what a money scheme is, or can tell the difference between a bona fide proposition and a pyramid or borderline pyramid. In the past I’ve tried to help people who’ve become involved in these types of schemes only to be attacked. They inevitably fail and I don’t have words for my dismay at seeing courageous, aspirational action takers suffer from poor choices that they didn’t have the know-how to protect themselves from. So I wish people could eliminate that mass of detritus from their considerations when choosing a group to join. I picked a great company with great products, but the local team although high energy, provided no skills training, taught slimy scripts, lied to distributors, and still has a massive attrition rate. I broke away from them to create a values-based culture that people can be proud of, that teaches and supports skills that work, including a process that actually is easily duplicable. So having seen what sub-standard training and support do to an organisation I’m not someone who’d ever downplay its importance. I just say check out the company and products first, then look at training/support/community. It’ll save a lot of time, money, and energy. Gina Srivipah Winters I believe so too! I agree with community, support, training, and leadership as four basic principles, but I would never leave product off that list. Without sales, there is no business. A network marketing business begins with product sales. A terrible product is not going to sell, not for long, anyway. In fact, I had an awful time trying to find any kind of training on retail selling. It was all on sponsoring. This is a grievous error in network marketing and one that helps to feed the stigma of “pyramid scheme” because without product sales that is exactly what it is. Totally agree with you Ray, I joined my company not because of the product, but because I was impressed by the personal development and leadership training offered, and because the culture was supportive and positive! It turned out that the product is amazing too, but because it was my first network marketing experience I felt I needed to have the support and training behind me first. I'm a teacher as well, so education and support always comes first in my mind. 1. Integrity and experience of the leadership team. 2. Product quality and price (will real people not attached to the business happily buy these products at the asking price?). 3. Balance of the pay plan (Can the part-timer, full-timer, and Rock Star all make it in this plan?). The factors you list are important – especially for a new marketer. I would roughly lump those into category 1 above. Here’s the BUT…I’ve seen a lot of powerful and charismatic “communities” swarm opportunities that very clearly missed the mark on points 2, 3, or both. So the new marketers who joined those communities might have grown as people (maybe), but their wallets were lighter. Then, inevitably, the powerful and charismatic community moved on to the next deal…one which may have again ignored points 2 and 3. The majority of new marketers who go down this path simply don’t know any better. They are following the leader. Others probably should know better but don’t. Still others find my logic flawed and think anything goes (fair enough, I guess). I find it counter productive to trash other companies, so I don’t do it. If someones asks my honest opinion about an opportunity I will give it. Usually, I simply ask someone to answer the 3 questions above and then tell me what they think. Aside from the products, I like the tools offered in helping one with their business. And I like my team members.